MICHAEL MYERS TO BE RESURRECTED IN 'HALLOWEEN RETURNS'. After a brief hiatus from our screens Michael Myers is set to return once again in the proposed sequel 'HALLOWEEN RETURNS'. This will be the 11 film in the Halloween franchise originated by John Carpenter all the way back in 1978. Marcus Dunstan will be directing alongside writing duties with Patrick Melton, the due behind SAW 4,5,6,7. The most recent films in the franchise 'HALLOWEEN' (2007) and 'HALLOWEEN 2' (2009) were directed by Rob Zombie. 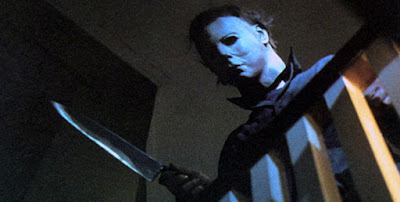 'Halloween Returns' will be produced by Malek Akkad with Matthew Stein as executive producer. At present no story has been released regarding where this sequel will go. More news on this story as we get it.